We use only white filling materials and the strongest dental adhesives. 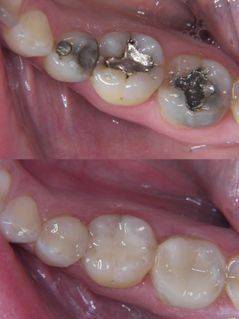 We do not use Amalgam. Tooth structure is one of the few things in the human body that cannot repair itself once structure is lost. 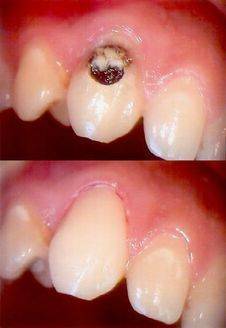 A cavity in a tooth needs to be filled to prevent disease spreading to avoid ever more complex repairs or tooth loss. Types of material – there are several different types of filling material. Adhesive or cement – different joins between material and tooth structure. Durability – different materials last longer. In certain circumstance a lot longer. Only natural tooth structure properly looked after has a lifespan of over 100years. Even our most durable filling materials will only last a potential 20-30years. 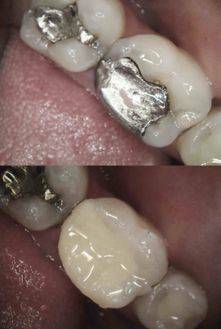 Then factor in that after only a few repairs you may need a crown, it is much better if you can to maintain healthy tooth structure with our maintenance plans and then choose the most durable repair if you can. If a filling is needed however you should have it completed as soon as possible to avoid the cavity, or ‘hole’, getting larger as decay can advance quickly. Even a temporary filling of cheaper filling is better than allowing more precious healthy tooth structure from being eaten away. Ceramic – solid ceramic tooth parts are made using the CAD/CAM Cerec system in the same way as a crown but fitted into a cavity in the same way as a filling. This is the most durable way to repair teeth, and therefore, is what the dentists at the practice would choose to have their teeth repaired with. There is no setting shrinkage so does not stress a tooth reducing the risk of small cracks or gaps at the adhesive join. Cosmetics are excellent and we use this material for full smile makeovers. It is incredibly strong and lasts ~20years (± 5 years). Composite – this is the most common white filling material used today. It is basically a plastic filler material; ground up ceramic bound together with a UV light cured plastic. A dental adhesive bonds composite to the tooth. We use top quality materials and find these last an average of ~10years (± 5years). It looks great but has a problem in that it shrinks slightly when it set so stresses a tooth and is implicated in some post-treatment sensitivity. Glass ionomer – This is also a white filling. It is the cheapest material and we commonly use it for our temporary fillings. It is made of a type of finely ground glass that sets when it reacts with polyalkenonic acid. There is a natural bond of this material to tooth and has a reduced incidence of post placement sensitivity so is useful to settle irritable teeth. The problem is it does not look quite as good and wears more quickly so only lasts ~5years (± 3years). 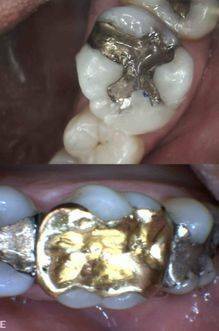 Gold Inlays – in practice not used very often these days due to the cost of the gold. These are solid gold fillings known as Inlays made by a dental laboratory using an impression; so are made over at least two visits with a temporary filling in-between. They are in fact the most durable filling after Cerec Ceramic lasting only marginally less long ~20years (± 5 years).